Access control gives organisations the reliable security they need with added useful features. Electronic access control provides a secure, convenient, flexible and cost effective way of controlling who has access to your building at what time. Access control gives organisations the reliable security they need with added useful features. All businesses - from small, medium to large - have assets that need to be secured from theft. There is also the issue of protecting staff and their property. It is common in buildings that are secured by locks and keys for doors to be left unlocked all day, which can often open up the possibility of opportunist theft and malicious damage. Electronic access control provides the most efficient and cost effective way of securing your building and assets. Tokens are issued to allow access through the controlled doors and are easily barred from the system if they are lost, stolen or simply not returned by someone who leaves your company. Barred tokens will not allow access through the controlled doors, which will eliminate the need to get all of your locks changed when keys go missing. With our range of product partners we can design, install and commission access control applications, ranging from controlling a single entrance door to managing a large complex site. These are just some of the ways in which an access control system can be used. Please contact our sales team if there are any other applications that you would like to discuss. We are really proud of the testimonials that we have received over the years from our happy clients. Please get in touch with us to find out more about how our access control systems can help your business to stay safe and secure. 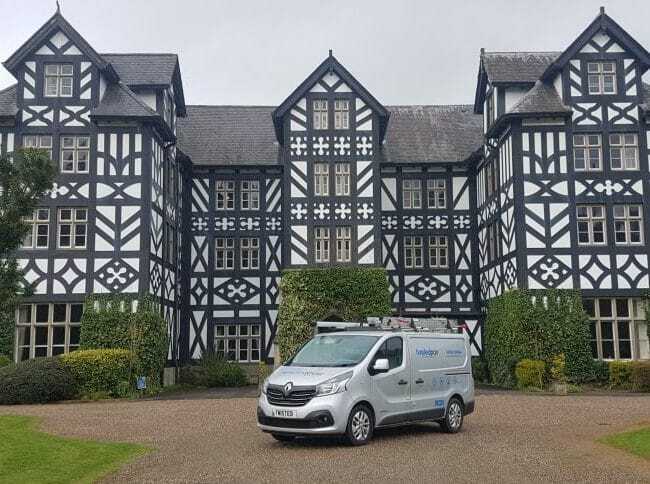 Twisted Pair Technologies covers South Wales - including Cardiff, Newport, Caerphilly, Swansea and Bridgend - and further afield in the UK. Based in Cardiff, South Wales or beyond and need an access control system designed and installed for your company? Please do not hesitate to get in touch with Twisted Pair Technologies today on 08000 925 921!